Researchers, doctors and patients have teamed with Lung Foundation Australia during this week's Pneumonia Awareness Week to call for proactive community action to address the declining vaccination rates against pneumococcal pneumonia – an infection responsible for more than 15,000 GP visits, 8,000 hospitalisations, and 2,000 deaths among those aged over 65 each year. Their call coincides with an article published in MJA Insight today co-authored by Dr Rob Menzies of UNSW Medicine, which urges governments and doctors to work harder to reinforce the public health message regarding the seriousness of the potentially life-threatening but preventable infection, pneumococcal pneumonia. The article reveals pneumonia ends lives prematurely, even in wealthy countries today with access to the best health care. It also reinforces that the main tools to prevent the most common cause of pneumonia – streptococcus pneumoniae, responsible for an estimated 20 per cent of pneumonia cases in Australia – are vaccines. Dr Menzies says a healthcare professional's recommendation to vaccinate, or otherwise, is the most influential factor determining whether a person chooses to protect against vaccine preventable infections. "We're achieving a 93 per cent pneumococcal vaccination rate among Australian children. Yet we're failing to achieve even a 50 per cent pneumococcal vaccination rate among equally vulnerable seniors, despite the publicly-funded immunisation program – a simple preventative health measure that could prevent serious disease or premature death," says Dr Menzies, of the UNSW Vaccine and Infection Research Lab. 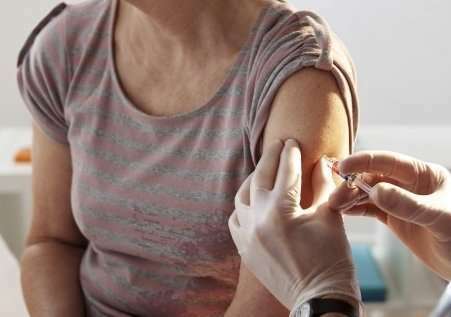 "The most recent data suggest pneumococcal vaccination coverage has actually declined to 47 per cent in NSW, with more than half of these vaccinations occurring after 70 years of age. "This decline must be urgently reversed. Doctors should be looking to opportunistically vaccinate those at risk of pneumococcal pneumonia (including people aged 65 and over, the immunocompromised and Indigenous Australians) in the same way they do for other population-based programs. "It is also important for individuals to take the initiative for their own health. Anyone who smokes, has a chronic disease, immunocompromising condition, or is aged 65 years or over should talk to their GP about whether they should have a pneumococcal vaccination, or a re-vaccination against the infection," he says. Associate Professor Lucy Morgan, Specialist Respiratory Physician and Lung Foundation Australia Respiratory Infectious Disease Committee Chair, Sydney, says all adults aged 65 years and over are at increased risk of contracting pneumococcal pneumonia due to their age alone, and many more have existing chronic medical conditions or lifestyle factors, such as current or past smoking, that places them at heightened risk of infection. "Importantly, the MJA Insight article reinforces the importance of vaccination against pneumococcal pneumonia as a preventative health strategy from the age of 65, rather than delaying vaccination for a number of years. "Given pneumonia is a potentially life-threatening respiratory infection, should an individual develop a cough, fever, shortness of breath, and feel generally tired and unwell, they should head to their doctor without delay," says Associate Professor Morgan. The pneumococcal vaccine is provided free under the National Immunisation Program (NIP) Schedule for all Australians aged 65 and above, Indigenous Australians aged 50 years and over, Indigenous Australians aged 15 to 49 years who are medically at risk, and infants under 12 months. A second dose of vaccine is also available to Australians with immunocompromising conditions or chronic disease, or smokers, a minimum of five years following their first dose.